Rory McIlroy is starting to feel right at home at Shinnecock Hills as attention turns to the 118th U.S. Open in New York. 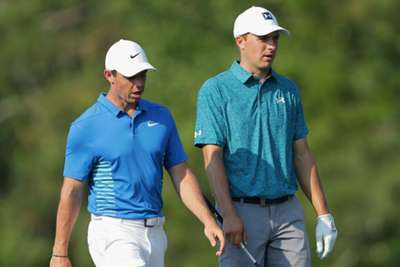 McIlroy will tee off at 08:02 local time on Thursday in a star-studded group with Jordan Spieth and Phil Mickelson in the season's second major. The 29-year-old comes into the tournament having added victory at the Arnold Palmer Invitational to his collection since his Sunday struggles and a faltering fifth-place finish at the Masters in April. Shinnecock Hills is a course that reminds the 2011 champion of home, and he hopes that can be a positive sign heading into day one. "I love the golf course, especially with how the conditions have been, especially [Tuesday] with a bit of wind and the dryness," McIlroy told a media conference on Wednesday. "It sort of reminds me of some of the courses from back home a little bit, the way the golf course has been playing." But he knows the set-up of the course will affect who bubbles to the top come Sunday and who survives, with Mother Nature taking a hand, too. "It really depends on the wind direction here," he said. "I think it's been great for a lot of the guys that we've been able to see this golf course in different winds. "You know, it's a U.S. Open. It's primarily a second-shot golf course." His group with Mickelson and Spieth will no doubt attract the crowds across the opening round, and McIlroy expects all three men to be gunning for victory. "Look, Phil's had six runner-ups at this event," added McIlroy. "He's played wonderfully. "It's just someone's played a little better at a certain week or maybe he made a mistake at the wrong time. It's not as if he's had a poor U.S. Open record. His U.S. Open record is incredible. "Like I said, this is another opportunity for him, as it will be for Jordan at the PGA, as it will be for me again next year April again [at the Masters]. "It's going to be a great test. I think the golf course is great. A little bit of wind will make it interesting. We should be in for a great tournament." 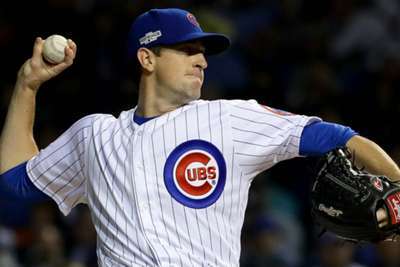 The Chicago Cubs have steadied their MLB season as pitcher Kyle Hendricks dominated the Arizona Diamondbacks.